First Prize for Poster at HFM 2018 : Kim ! 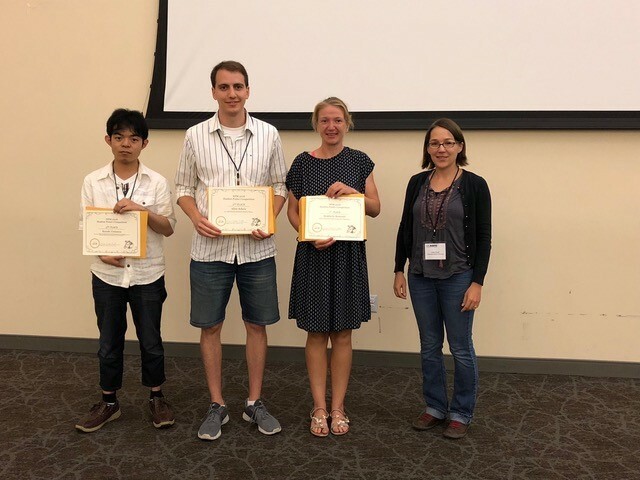 Winners of student poster prizes at International Conference on Highly Frustrated Magnetism 2018. Poster title: "Semi-classical equations of motion for spin nematics". Tokuro Shimokawa got the Young Scientist Award of the Physical Society of Japan (JPS)!! 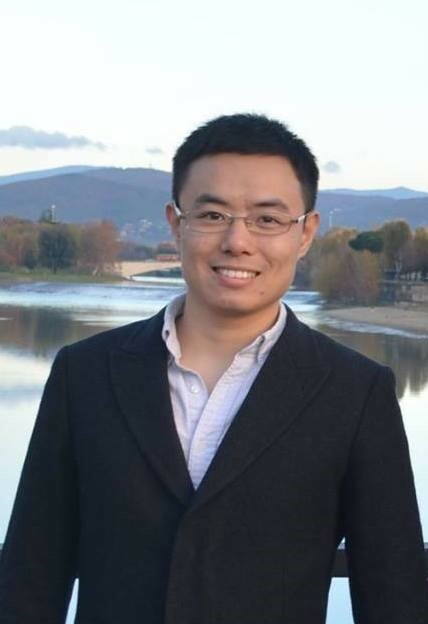 Han Yan was offered Japan Society for the Promotion of Science Doctoral Course Students (JSPS DC2) Fellowship. The fellowship will provide funding for his projects aiming at discovering and understanding various spin liquids. He is particularly interested in their connection with quantum gauge theory, topological excitations, and conformal field theories. 2017-12-07 Congratulations Dr Pohle ! 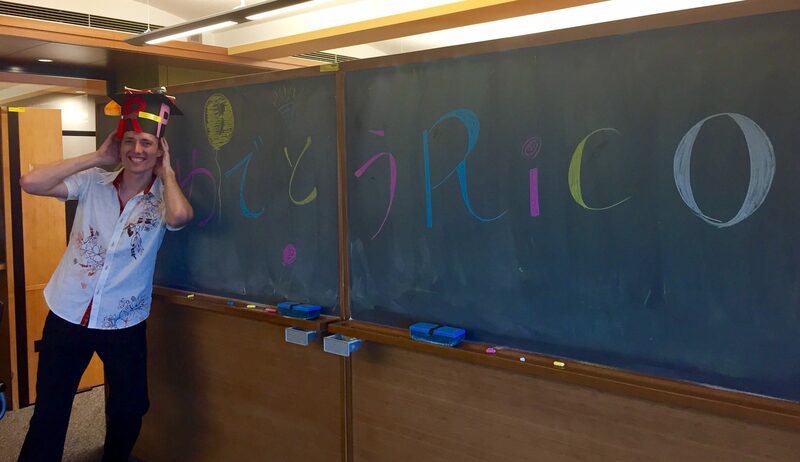 Rico sucessfully defended his PhD thesis” Signatures of Novel Spin Liquids in Kagome-like Lattices”. We wish Rico to continue his successful academic career.